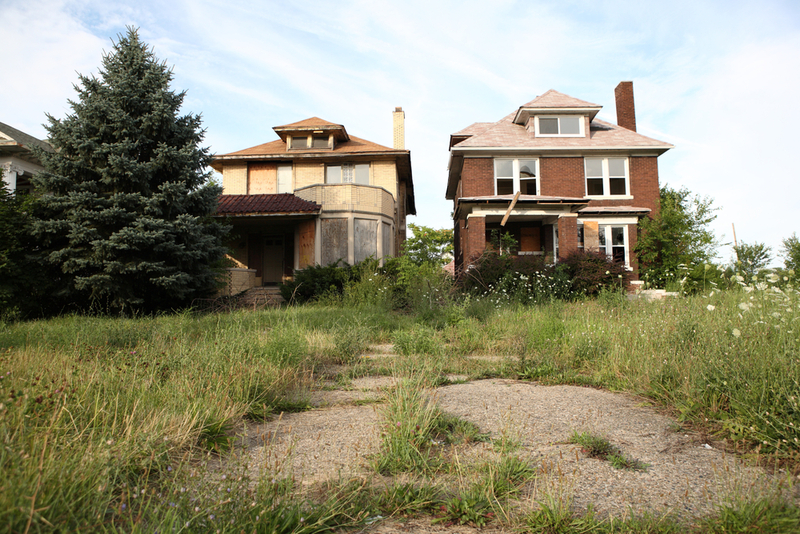 Detroit has become something of a Petri dish for experimentation in philanthropy. Over the past five years, foundations have helped bail out the city government, built a light rail line, supported entrepreneurs of color, and launched a number of other interesting projects—sometimes with mixed success. Detroit was also where JPMorgan Chase embarked on its ambitious urban anti-poverty work in 2014 with a five-year, $100 million commitment. And late last year, we reported on a new $50 million, foundation-backed initiative to make Detroit a leader in early childhood education. Land use is yet another challenge that philanthropy is seeking to tackle in the city. And it's worth paying attention to how this has been unfolding. Detroit is in the unique position of having to shrink its physical footprint in acknowledgment that its population has significantly declined and will never return to its 1950s heyday. Part of that task involves figuring out what to do with the tens of thousands of vacant lots that pepper its neighborhoods. That's created a unique opportunity for parks philanthropy, a force that is often connected to big, high-concept city projects and surrounding development. One grantmaking program that came out of an extensive city planning process is asking community groups to turn some of those lots into assets that serve their neighborhoods. The nonprofit Detroit Future City, which came out of the planning process of the same name, just gave around $100,000 to 10 grassroots groups, bringing its total to $227,500 since the grant program started in 2015. The creation of Detroit Future City’s strategic framework was unusually democratic in asking residents what the city’s future should hold, conducting hundreds of meetings, and collecting tens of thousands of surveys and comments in a variety of settings. The vacant lot grant program, just one of a number of efforts the nonprofit is managing, is similarly looking to distribute the job of converting unused land to improve quality of life in the city. The Working with Lots Mini-Grant program its funded by the Kresge Foundation, which has proven to be one of the most active and creative funders when it comes to tackling poverty in American cities, with a longstanding focus on its notably struggling neighbor Detroit (Kresge's based in Troy, Michigan). Detroit Future City has also received philanthropic support from the Knight Foundation, the Erb Family Foundation, the Americana Foundation, as well as the state’s housing development authority and the city’s economic development organization. The grant program followed the creation of a Field Guide to Working with Lots that the nonprofit released in 2015, a document to help people in communities create plans to repurpose vacant land. It outlines 35 possible lot designs, including landscaping options like a butterfly meadow, tree nursery, maple syrup farm, stormwater management, and more. One new feature this year invited non-residential property owners to install green infrastructure to manage stormwater in exchange for credits from the city. The group received 38 applications in total this round. There’s a lot to like about this program. For one, the Detroit Future City framework is admirable in its own right, and has been praised for not following the status quo of championing development above all else. Economic growth is part of the plan, but so is right-sizing the city, and improving quality of life and sustainability. It’s also refreshing in that so many philanthropy-fueled parks and land use projects seek to create a big, signature project that will put an area on the map, but don't necessarily prioritize benefits for current residents. This program is very decentralized, paying for small neighborhood projects proposed by community groups that want to directly improve the landscapes where they live. Detroit is still facing some of the stark inequality issues we’re seeing in many city recovery stories, but as a model of parks philanthropy, Working With Lots is an encouraging approach to moving funds into neighborhoods and allowing them to reimagine their own land use.